Legendary race cars from all over the world are lining up to take part in this year’s Bahamas Speed Week Revival, which the Ministry of Tourism hopes will significantly boost the country’s growing sports tourism niche. 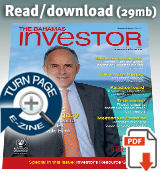 This year’s event runs December 4-8 and is headquartered at Arawak Cay. According to event co-founder and director David McLaughlin (left, Photo Harry Cutting/©Dupuch) there has been a lot of interest in the event from abroad with cars from the UK, Belgium, Switzerland and Austria registering to take part–the highlight of which is a 1965 red Ferrari Dino ,which was driven by the famous Rodriguez brothers in the early 1960s. The 2014 programme includes sprints and time trials at Fort Charlotte and an island tour, during which the historic cars journey around New Providence. For the first time, this year’s event will also feature a tour of the island’s Mini Coopers. There will also be an opening ceremony, during which the public can view the cars at Arawak Cay. The Ministry of Tourism is one of the event sponsors, along with the Ministry of Youth, Sports and Culture. The government is hoping the event will generate coverage all over the world and increase visitor numbers during what is traditionally a slow season in the tourism calendar. Minister for Youth, Sports & Culture Danny Johnson (below, Photos Harry Cutting/©Dupuch) called the Revival “an event that fast tracks Bahamian heritage and sports tourism” and said record numbers of local drivers have already registered. “We want to make sure everyone knows this will be the best speed week ever,” he said. 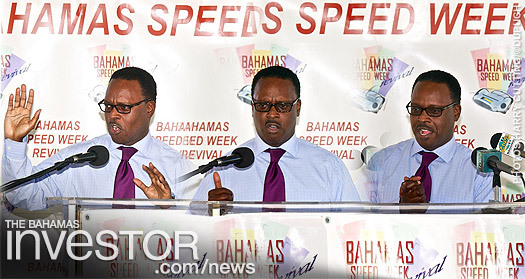 “As speed week gets better, as sports tourism gets better, it only proves that everything is ‘better in The Bahamas'”. 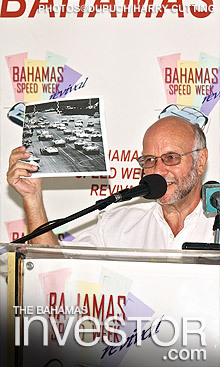 Now in its third year, Bahamas Speed Week Revival aims to recreate the hugely popular Nassau Speed Week, which ran from 1954 to 1966 and took place at Oakes Field.